Just what are we watching for? I remember going to a store one day and remaining in the car while my friends went in to do some shopping. In the car next to me was this little dog sitting in the driver’s seat staring intently at the door of the store. This little dog would not take his eyes off that door. Every time the automatic doors would slide open the little dog’s ears would perk up. He would stand with his front paws on the steering wheel panting, wide eyed and tail wagging expectantly. Time and time again people would come out of the door that was not his master and the dog would return to his intense watchful position, not disappointed, but with an obvious understanding that one of these times it will be his master, he had only to wait patiently. As I watched this dog the Lord showed me through this simple illustration that this is what He is talking about when He said “watch.” Eventually the little dog’s master did exit the door. His excitement and enthusiasm came unhinged! I could hear his happy little whines and yelps as he watched his master walk strait to the car. His love and appreciation for his owner was unquestionable. They could not have been apart for more than 30 minutes, yet the dog greeted his owner like he had been missing him for a month. To this dog, his master was the most precious person on the planet, and could not bear to be apart from him for any length of time. It was so obvious this dog loved his master with everything that was in him. What would it be like if we saw our Heavenly Father this way? What difference would it make in our lives? How would it affect our relationship with Him? What would it do to our perception of life? How would it affect our joy? Our peace? Our faith? After seeing this little dog I am convinced that we often take the Lord for granted. That we don’t really relate to Him like He is the creator of the universe, the master of ALL. Our hearts are divided, our minds are distracted and we allow other things matter more than what should matter most. The Bible says to seek first the Kingdom of God and His righteousness and all our needs will be met. (Matt 6:33) Yet we continue to approach God with our laundry list of needs and wants like He wasn’t serious when He said that. John 5:19-20 Then Jesus answered and said to them, “Most assuredly, I say to you, the Son can do nothing of Himself, but what He sees the Father do; for whatever He does, the Son also does in like manner. 20 For the Father loves the Son, and shows Him all things that He Himself does; and He will show Him greater works than these, that you may marvel. Jesus ONLY did what He saw. Jesus was able to do what He did because He constantly practiced watching the Father. He truly did “seek first the Kingdom of God.” Could this be a big reason that we don’t see the level of supernatural life that we read about in the book of Acts? The discipline of watching creates an awareness of God that puts all of life in proper perspective. The more we keep our attention and focus on Him, the clearer we become on who He really is and who we really are to Him. The discipline of watching produces an integrity of heart that makes resisting temptation easy. The discipline of watching keeps you prepared to face anything that life would dish out to you. The discipline of watching may be the most important part of prayer. When we practice watching, we know what to pray for and how to pray. We know what to do and how to do it. We position ourselves to be a trusted vessel that the Father can use to flow through. I began to see the importance of maintaining a high level of “God Awareness.” Furthermore, I realized that the responsibility of maintaining that awareness fell to me. With that realization I began to think about what produces and awareness of God and what pulls me out of that awareness. We draw power, influence and identity from the things we are most conscious of. One of the sneakiest tricks of the Devil is to make us, and keep us Sin Conscious. The price for sin has been paid and the blood of Jesus cleanses us from a consciousness of sin. It doesn’t cleanse us from our ability to sin. This is where the Devil tries to get a foothold in our mind. He brings thoughts and memories of past mistakes and uses that to draw our attention to our weakness instead of God’s goodness. If we don’t control this thought process we end up in guilt, condemnation and shame and draw our identity from our ability to sin and not Christ. Our awareness of our weakness becomes greater than our awareness of God. This is why it is so important to continually cultivate our revelation of righteousness. Righteousness is the foundation of our identity in Christ. As our identity in Christ becomes grounded, our awareness of God increases. If we can keep this truth before our eyes we rob the enemy of many of his tricks to deceive. If he can keep us from realizing who we are, he can keep us from functioning in the power of the Spirit. If he can keep our attention on ourselves, he can keep our attention off of God. Matthew 6:22 The lamp of the body is the eye. If therefore your eye is good, (single, clear) your whole body will be full of light. Again we see that what we look at has a profound effect on our lives. We must be narrowly focused on what we allow ourselves to behold. Our perspective determines the amount of light we have, how bright we shine, and how full of light we really are. Another trick the enemy uses is to get us to substitute knowing God, for knowing about God. 1 Peter 1:2-4 Grace and peace be multiplied to you in the knowledge of God and of Jesus our Lord, 3 as His divine power has given to us all things that pertain to life and godliness, through the knowledge of Him who called us by glory and virtue, 4 by which have been given to us exceedingly great and precious promises, that through these you may be partakers of the divine nature, having escaped the corruption that is in the world through lust. The word “knowledge” in the above verse indicates an intimate knowledge that unites you with the object or person it is talking about. It indicates a personal experience with instead of merely knowing about. There is a HUGE difference. If you read a biography on the life of any given person, you can acquire a great deal of knowledge about that person, but unless you actually spend time with the person you can’t honestly say that you know them. As a people, Christians have been duped into believing that knowledge of God’s word is the equivalent of knowing Him personally. We understand the principles and grasp the concepts of faith but we don’t really know God because we don’t spend time with Him, talking to Him, listening to Him, quietly meditating on who He is so that He can expand our hearts and minds to receive the awesome revelation of His eternal, omnipotent, omnipresent, omniscient, being. We can’t begin to wrap our head around who He is by only reading His word. We must also spend time in the light of His presence. Both are needed to mature, and both are needed to effectively live and walk by faith. We learn the principles of God’s amazing Word and then we try to live by these principles in our own strength. If we will spend as much time with God as we do learning about God our awareness of His abiding presence will produce an effortless walk of faith that keeps us living and abiding in holiness. Instant obedience becomes a natural thing. Resisting temptation to sin becomes effortless. Think about it, if Jesus Himself was physically with you every minute of every day, walking with you, standing right beside you, would you have a problem resisting sin? Would have a problem obeying His word? You would be so acutely aware of your every action and word that you would only do and say those things that pleased Him. This is how Jesus lived His life. He set the example for us to follow. John 12:49 For I have not spoken on My own authority; but the Father who sent Me gave Me a command, what I should say and what I should speak. The more time we spend alone with our Heavenly Father, the more awareness of His presence we will walk in throughout our day. Awareness of God births the character of God, the nature of God, and the faith of God within us. Awareness of His abiding presence makes us more sensitive to the Holy Spirit and His leading. Awareness of God helps us to see others how God sees them and therefore opens the door for us to minister Christ to them more effectively. One of the hardest things you will ever do in your prayer life is …NOTHING! Ok, NOTHING isn’t quite the word we are looking for. Silent waiting is a better way to say it. Waiting in silent expectation of God revealing Himself to you is a powerful, and fruitful endeavor. Quietly meditating on who He is and what He has spoken to you by the Spirit or in His word is an amazing exercise of our faith and is very pleasing to God. Psalm 23:2-3 He makes me to lie down in green pastures; He leads me beside the still waters. He restores my soul; He leads me in the paths of righteousness for His name’s sake. The Good Shepherd, by the Holy Spirit, is always trying to lead us to a place of peace and stillness. It is a place of refreshing and restoration. It is a place to find direction and discern the leading of the Holy Spirit. Isaiah 40:31 But those who wait on the Lord shall renew their strength; They shall mount up with wings like eagles, They shall run and not be weary, They shall walk and not faint. Waiting on God renews our strength. The practice of silent meditation upon God and His word fills up our spiritual gas tanks and empowers us to run well. Psalm 46:10 Be still, and know that I am God: I will be exalted among the heathen, I will be exalted in the earth. It is in the Stillness that God is known. Reading God’s word and listening to preaching and teaching helps us to know about God, but spending time in His presence is what we need to actually know Him intimately. God is raising up a people in this generation that will live life from the outflow of the presence of God, rather than merely living by the principles of God. In our stillness before Him, He prepares us to host His presence. Psalm 62:1 Truly my soul silently waits for God; From Him comes my salvation. Psalm 62:5-6 My soul, wait silently for God alone, For my expectation is from Him. Silently waiting on God anchors your soul. When life throws us a curve ball, when things get tough and it seems like we are pressed on every side with problems, difficulties and even attacks of the enemy. Silently waiting on God and thinking about His goodness, His greatness, His faithfulness and His amazing love for us gives us strength to stand in faith and trust in His tender mercies and his power to deliver us out of all our troubles. Quietness and stillness should be practiced individually and corporately to keep us from trusting in the world and its systems. The Lord is speaking through Isaiah a strong word of correction to His people for trusting in Egypt for their strength and salvation instead of Him. Unfortunately, they would not have it. In this age of distractions and constant movement it is vitally important that we practice stillness in God’s presence. Posted in PRAYER, Victorious Living! I learned a very valuable lesson about authority in prayer and I would like to share it with you. During a prayer meeting at our church a faithful member of the prayer team came forward with a typed out prayer for our president that she said the Lord gave her the day before. She was allowed to read the prayer and we agreed with her. It was a very moving, scripture based prayer that was loving, considerate, compassionate and powerful. It immediately got the nod of approval of all in the room. It was a prayer that inspired confidence and faith in all who prayed it. This lady had obviously heard from the Lord. As those in the group were commenting about how powerful it was, the Lord spoke to me directly and said, “Why didn’t you pray for your previous president in this manner?” I immediately knew what the Lord was talking about. I remembered the many times we lifted this former leader up in “prayer” and I was reminded of some of the opinionated requests, the tone, the attitude, and the complete disregard for this man as an individual. We weren’t praying out of love for our president, or even love for our country. We were praying against him, not out of love, but out of selfishness and self righteousness. Our motives were wrong, our heart was wrong. I shared what the Lord had showed me and the entire prayer group received it and we all repented before God. When praying for yourself, or others, its important to consider your motives for praying. This may seem overly simple, however there are some areas in our thinking and believing that can be ever so slightly off kilter, and therefore making our prayers ineffective. This is a powerful example of sacrificing authority because of selfish pride. The Pharisee presented himself as better than “other men.” Notice in verse 11 that “he prayed thus with himself”. In other words God is not even listening, he is praying to sound spiritual and be heard by others. Although this sounds terrible, it gets much worse! James 3:14-16 But if you have bitter envy and self-seeking in your hearts, do not boast and lie against the truth. 15 This wisdom does not descend from above, but is earthly, sensual, demonic. 16 For where envy and self-seeking exist, confusion and every evil thing are there. When we pray from a place of bitterness, envy, and selfishness we become a landing strip for every evil work. We actually invite demonic activity into our life and have absolutely no effect on what we are praying for. Lets look at the rest of this passage in James to see where our heart needs to be when we pray. James 3:17-18 But the wisdom that is from above is first pure, then peaceable, gentle, willing to yield, full of mercy and good fruits, without partiality and without hypocrisy. 18 Now the fruit of righteousness is sown in peace by those who make peace. Prayer that is made from a place of love, mercy and compassion is a prayer that is heard and answered by God. Prayer made from a place of selfishness is not heard by God, but is an invitation to demonic influence. Pray for people, never pray “against” people. Praying against a person is an invitation to confusion, demons, and every evil work. It is earthly wisdom learned from the fall of man and perpetuates the enemy’s agenda. If we check our hearts and motives before we approach God with prayer and make sure we are praying from a healthy place of love for the person, we can be confident that our prayers are effective. Posted in Christianity, PRAYER, Victorious Living! Posted in PRAYER, Quotes, Victorious Living! It has always been God’s plan to operate through man when dealing with the affairs of the earth. The earth is owned by God, and always has been. But, He gave man control over the earth for a season, to govern and take dominion. God gave man authority over the earth. Man gave away this authority to the devil, bringing sin and death to creation, separating us from God, and cutting us off from our birthright as sons of God. Jesus Christ has abolished the things that separate us from God, restored our birthright, our authority on the earth, and our ability to take dominion over the power of darkness and destroy the works of the devil. We have a responsibility to exercise and execute this restored authority so that God’s plans and purposes for the earth can be fulfilled. 1 John 5:14-15 (NKJV) Now this is the confidence that we have in Him, that if we ask anything according to His will, He hears us. 15 And if we know that He hears us, whatever we ask, we know that we have the petitions that we have asked of Him. Prayer is simply man exercising his legal authority on earth to invite God’s influence on the planet. Because God will not violate man’s will or His own word, God waits for man to pray so that he can act on our behalf. Prayer is not optional. It is essential for the fulfillment of God’s purpose on the earth. 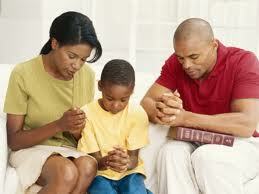 Prayer gives God the right to intervene in man’s affairs. In the Garden, Adam walked with God in the cool of the day. This is our model for prayer, walking with God. Getting to know Him, discussing man’s mission, his stewardship, his fruitfulness, his potential. Man gets in trouble when he’s not there to meet with God and pray. Adam’s sin, and his new felt shame, guilt, and condemnation made him run and hide from God. This is the response of a sin conscious mind. Though Jesus has restored us all, like Adam, many are still silent and hiding. The greatest aspect of prayer is our ability to be with Him. He is our Father and we must know Him as such. Let nothing keep us from approaching Him in prayer. If we want God to act on our behalf we must pray. 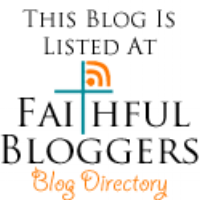 Tagged Christianity, HINDU, inspiration, Islam, keys to answered prayer, learn to pray, Messianic Jew, MUSLIM, Prayer, religion, the gospel, the importance of prayer, the purpose of prayer, Thoughts, why pray? Loving God, What Does That Look Like? When was the last time you came to God just love on Him and be close to Him? I have three sons of varying ages who are completely different from one another in their personalities, likes, and interests. Each one is unique and I thank God that, He made them that way. I love each one equally and show no partiality to any one of them. They all know that I love them and I know that they love me. This is an understood fact and we all express that love to each other all the time. We live with an awareness of that love and we are conscious of the fact that the love we have will never change. There comes a time though, as they walk through their day-to-day life that the knowledge of that love is not enough. They need to experience it. They need one on one, face-to-face interaction. They need a loving touch, they need to share thoughts and emotions and spend intimate personal time with me. They need to know that they are special to me and that my love is for them is real. There is a wonderful exchange that takes place in these times. I become sensitive to their needs and desires and reaffirm my love for them. It solidifies our bond and their faith in me as a loving father. It enriches and strengthens the relationship that we have. Each of my children likes to experience this love in different ways. As they age and their interest changes, our time together begins to look different also. My 13-year-old likes to go to the gun range and I teach him about shooting techniques, safety and responsibility, preparing him for manhood and the challenges that are ahead of him. My 10-year-old likes swimming, nature and art. We enjoy each others company and I see the joy in his face when we are alone together. I encourage him to develop his gifts and artistic talents. My youngest, the 6-year-old, likes to crawl up in my lap and play silly little games. These games may seem insignificant to some, yet to this child it is one of the most important parts of his day and if we miss that time together he tells me about it. This time together is very important to him … It is also very important to me. As believers we need this intimate time with our Father, God. It is not enough to walk through life just knowing about the Love of God, we must experience it. The most important relationship that we have is with our creator. If we invest in this relationship, it pays dividends in all other relationships, making them richer and stronger. These times I described with my kids are all very important to me. Your personal time with God is very important to Him too. Is it important to you? As you grow as a Christian these intimate times with God will change and evolve to match your level of maturity and the life lessons that God knows are important to you at the time. No matter where you are in your walk with God, always approach Him as a child. Don’t take for granted that the most amazing thing available to you through Jesus sacrifice is your ability to stand before God like a child with no guilt, condemnation, or shame. Jesus made fellowship and intimacy available through His shed blood. His sacrifice was made so Father – Son relationship could be restored. Luke 18:17 Assuredly, I say to you, whoever does not receive the kingdom of God as a little child will by no means enter it. I think we tend to get in rut with our “devotional” time and make it mechanical and impersonal. We come to God with a list of prayer needs and a plan to study, or read a certain amount of scripture and we never connect with Him personally. We go through the motions with a legalistic, works mentality, believing that its the right thing to do in order to be a “good Christian.” The truth is, very little fruit comes from actions like these. This is not relationship, and it does not promote growth and change, instead it perpetuates a legalistic mentality which quenches the grace of God and hinders the transforming work of the Holy Spirit. Posted in Christianity, Love, Victorious Living! Very few Christians feel they have a successful prayer life. One of the big reasons believers struggle with prayer is because of all the wrong teaching they’ve received about it. Another reason is that they simply do not pray. I like the guitar, always have, but I don’t play that well because I don’t practice on a regular basis. I may practice an hour a day for two weeks and then not pick it up again for a month. I am not committed to getting better so I remain at the same level of proficiency, which is NOVICE. The same is true for most Christian’s concerning their prayer life, they don’t practice prayer principles regularly so they get little results. Getting results in prayer can be easy if you understand some basic faith principles. When you begin to see prayers answered and realize that YOU can be effective and dynamic in prayer, it will become a lifestyle for you, not just a last resort when trouble knocks at your door. There are different types of prayer, the prayer of faith, the prayer of consecration, the prayer of repentance, the prayer of intercession, etc. Different rules or principles apply to different kinds of prayer and to be effective you must pray according to the guidelines laid out in the bible. The one thing I want to focus on in this teaching is the prayer of faith and the link between your praying and your saying. This will change your life and bring results almost immediately. Mark 11:22-24 ~ 22 So Jesus answered and said to them, “Have faith in God. 23 For assuredly, I say to you, whoever says to this mountain, ‘Be removed and be cast into the sea,’ and does not doubt in his heart, but believes that those things he says will be done, he will have whatever he says. 24 Therefore I say to you, whatever things you ask when you pray, believe that you receive them, and you will have them. If you answered “no,” you are correct. You see Jesus was making a point that words are powerful just like the prayer of faith is powerful. Most folks don’t get that, and they pray wonderful scripture based prayers and then undo them by speaking words of doubt and unbelief. Your praying must match you saying. We are talking about the prayer of faith mixed with the “spirit of faith.” This is the combination that brings victory every time. So let’s look at what the bible says about the spirit of faith. Your mouth is the biggest indicator of where your faith is. If you have a heart full of faith, your words will reflect that. If your heart is full of doubt and unbelief, you will speak words of doubt and unbelief. Luke 6:45 ~A good man out of the good treasure of his heart brings forth good; and an evil man out of the evil treasure of his heart brings forth evil. For out of the abundance of the heart his mouth speaks. Mark 4:14 ~ The sower sows the word. 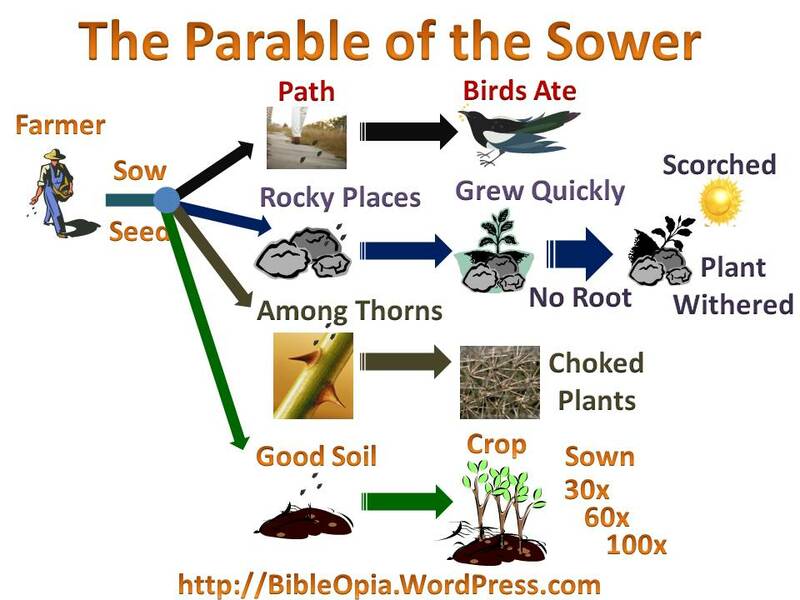 In this parable we see clearly that the soil is the heart or human spirit and that the seed of the word will get different results depending on the condition of the soil. Jesus said that the Kingdom of God works like this. That means that all things pertaining to the Kingdom of God works on this principle on some level. Since we are talking about the prayer of faith, let’s focus on how this principle applies. 1) Faith must be based on God’s Word. People will often say that they are “standing in faith” for healing or some other need to be met, and yet when you ask them what scriptures they are standing on they can’t give you a definitive answer. Understand this; faith begins where the will of God is known. If you don’t know what the will of God is concerning your situation, you don’t have any basis for believing. The first step in praying the prayer of faith is to find out what God’s will is for that particular situation. His Word is His will. If you are praying, “God heal me if it be your will”, you are NOT in faith because you don’t know His will. The New Testament is clear that healing is a part of our redemption. Jesus paid the price for your healing over 2000 years ago. If you are not clear on that, if you are not fully persuaded that healing belongs to you as a child of God, then you are not capable praying in faith. Find out what God says about healing and meditate on His Words. Here are three verses of scripture that I use, speak and meditate on when I am standing in faith for healing. 1 Peter 2:24 ~ who Himself bore our sins in His own body on the tree, that we, having died to sins, might live for righteousness—by whose stripes you were healed. Isaiah 53:5 ~But He was wounded for our transgressions, He was bruised for our iniquities; The chastisement for our peace was upon Him, And by His stripes we are healed. These three scriptures alone should settle any doubt about God’s will for you to be healed. There are plenty of other passages about healing and other promises in God’s Word. Find scriptures that address your situation, pay close attention to scriptures that really jump out at you because the Holy Spirit will quicken certain scriptures to you and bring light to your spirit man by those words. Knowing God’s will is the foundation that Faith must stand on. 2) Release your faith through Prayer and words. Make it a big deal! Once you are clear on God’s will, make releasing your faith an event. Mark this moment in your heart, write it down in a prayer journal, Post it on a note where you can see it regular, if possible, have your spouse, your pastor, a faith buddy or someone else to agree with you. Set this day as a memorial in your life that THIS is where I take a stand and claim what belongs to me. Make a big deal out of it and let God, the Devil, and everybody else know that no matter what I see or how I feel, that this shall come to pass in my life! There is built-in accountability in making a huge deal out of releasing your faith. You mark your soul with a time and place of no turning back, you see it as a place of change and it helps you stand firm when the going gets tough. Galatians 6:9 ~And let us not grow weary while doing good, for in due season we shall reap if we do not lose heart. 3) Your saying must match your praying. You can do the first two steps perfectly and have absolutely NO results if you don’t bridle your tongue. Make it a point to ONLY speak words of faith about what you prayed for. Guard yourself from speaking words of doubt and unbelief. And don’t hang around folks that do nothing but talk about the problem. Always declare the answer. Call those things that do not exist as though they did! 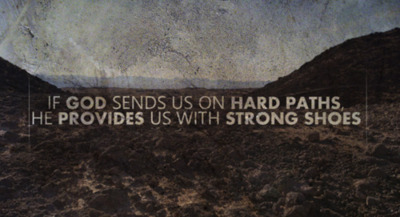 God does this, Abraham did it, and you need to learn to do it too if you are going to be strong in faith. Your words either make you or break you where faith is concerned; they are the steering wheel that points you to the path of victory. Once you have released your faith, continue to speak words of faith. Feed your faith with God’s Word by saying what He says about you. The bible says that faith comes by hearing. What better way to hear it than speaking it with your own mouth. Romans 10:17 ~So then faith comes by hearing, and hearing by the word of God. If all you hear are doubt, unbelief, fear, and negative reports, these are what you will have faith in. Feed your faith with God’s Word. Don’t let it depart from your eyes or your mouth and your faith victories will abound. Joshua 1:8 ~This Book of the Law shall not depart from your mouth, but you shall meditate in it day and night, that you may observe to do according to all that is written in it. For then you will make your way prosperous, and then you will have good success. These are not all of the principles involved in prayer or faith, but it is a good place to start. First and foremost, be a person committed to the Word of God. Realize that the bible is God speaking to YOU. God’s Word is God’s will, and faith begins where the will of God is known. How does Peace fit into Spiritual warfare? It almost seems like a contradiction in terms doesn’t it? Without this vital part of your armor you are at a terrible disadvantage when engaged in a battle for you and your family’s life. 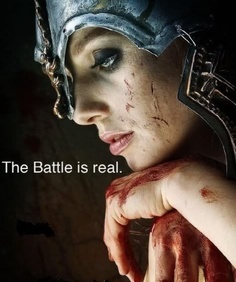 Know that your enemy is real… and the battle is real! Let’s define Peace so that we understand what we are dealing with. Peace has similar meanings in the Old and New Testament. The Hebrew word “shalom” and the Greek word “Irene” are beautiful words and do not translate into the English language with anything less than a paragraph or two to give them justice. The point is, everything that Peace does or produces in your life has just one purpose: To create a oneness, a unity and an intimacy with God. That being said, we should desire Peace to be in full operation in our lives at all times so that we are prepared for any battle that may arise. Peace is a manifestation, a ministry, and a fruit of the Holy Spirit. The Holy Spirit is called “the Helper,” (John 14:26) so it makes sense that the number one thing He wants to help you with is your relationship with God. Your unity with God is the single most important thing you need when facing the enemy. Peace is the way the Spirit helps you with that. Years ago, while seeking the Lord for more understanding on Peace, He showed me that peace has a “position” in your life. That position is always in front of you. You should always be pursuing Peace and following His lead. Lets look at some scripture that verifies this. 1 Peter 3:11 ~ Let him turn away from evil and do good; Let him seek peace and pursue it. which also you were called in one body; and be thankful. See the pattern? Seek Peace, follow after Peace, pursue Peace, be led out with Peace. These scriptures indicate the position of Peace, the position of a guide, a leader, and a point man. Peace should have the final say in every decision we make. Colossians 3:15 says we are to let Peace rule. That means that we should always take a position to submit to and Follow His leading. I wondered why something as important as Peace was put on our feet,. It is a “not so pretty” body part, I knew there had to be a reason. When I questioned the Lord about it, He asked me, “Why do you wear shoes?” I immediately knew what He was talking about. We wear shoes to protect our feet when we walk. Peace protects us in our walk with God, steering us away from things that hurt or hinder us in any way. This only works if you give Peace the proper position in your life, as your guide, your point man. By giving Peace the proper place, you HAVE shod your feet with the preparation of the Gospel of Peace. Peace is available, but NOT automatic. You have a part to play if you are going to walk in the Peace of God. The word “guard” in verse 7 is an interesting word. The literal translation is: “a watcher in advance.” It is a military word that describes what we understand to be a “point man.” If you have been in the military, you know that a point man has the responsibility to lead his team safely through enemy territory while detecting and avoiding the enemy’s traps. The point man keeps the team safe while maneuvering them into the most advantageous position. The point man is ultimately responsible for every life on the team. If the point man fails, the team could die. God has given us the greatest Point Man available, the Peace of God. The same Peace that Jesus had with the Father. as the world gives do I give to you. Let not your heart be troubled, neither let it be afraid. commission, definition: the act of granting certain powers or the authority to carry out a particular task or duty. You have an opportunity every day to ask God to lead and guide you by His Holy Spirit. Peace is a present day ministry of the Holy Ghost and you must commission your Point Man (Peace) into your future by prayer. Prayer changes the NOW by preparing your future with Peace. No matter what you are doing or where you are going, you can travel in Peace if you pray before you leave. Prayer paves the road with Peace. Don’t walk into a future that is not prepared by prayer and conditioned with Peace.